Following the resignation of Colin Penny, Nether Stowey Parish Council currently has a vacancy for a Parish Councillor. The Parish Council will consider candidates for co-option at the Parish Council meeting on Monday 10 September. Being a Parish Councillor is a great opportunity to work for the community and help decide how to meet the concerns of residents and what is best for Nether Stowey. It helps if you're a "people person" who enjoys talking to other residents but, more importantly, you need to have the concerns and best interests of the parish as a whole at heart. Councillors are community leaders and should represent the aspirations of the public that they serve. Parish councils are the most local part of our democratic system and are closest to the public. Councillors are there to consider the information gathered and make a group decision on all matters, keeping in mind the best interest of the community as a whole. No individual Councillor is responsible for any single decision. The Good Councillors Guide useful. How much time does it take up and when? On average, a few hours a week. Obviously there are some Councillors who spend more time than this – and some less, but in the main, being a Parish Councillor is an enjoyable way of contributing to your community and helping to make it a better place to live and work. Council meetings are always held in the evening – as are most meetings of the other groups which Councillors attend on the Council’s behalf. Talking and listening to your fellow parishioners can be done at any time but you must usually be able to attend the monthly Council meeting. 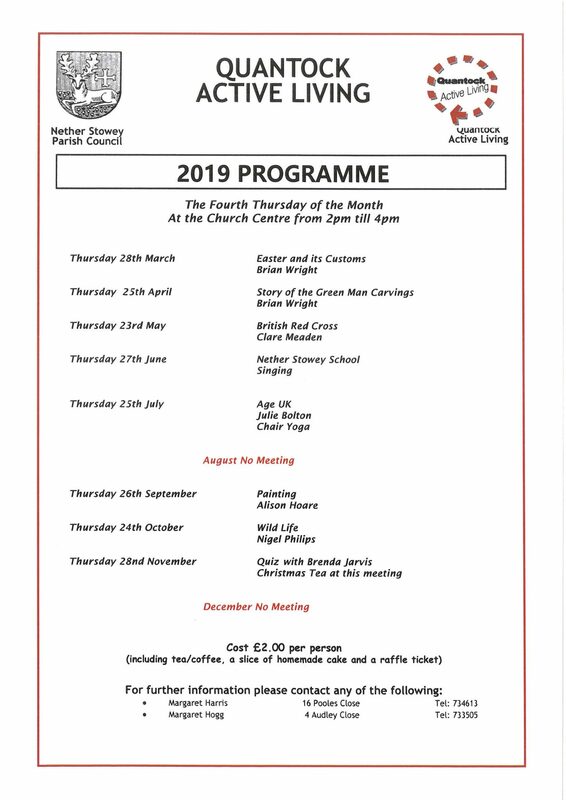 In Nether Stowey meetings take place on the second Monday of each month at 7pm at the Village Hall. In general, to save costs and save eating into Councillors' time more than necessary, we try to avoid separate committee meetings and cover all work at the Council meeting, but committee meetings are held where there is a lot of work to do (eg Budget meetings) or where the next Parish Council meeting would be too late (eg Planning applications). You may be asked to represent the Parish Council’s views at meetings elsewhere either regularly or on an occasional basis and all Councillors are expected to attend training or briefing sessions (usually 2-3 times a year). In your first few months there will also be training for new Councillors, aimed at helping you find your feet and to learn what Parish Councils can and can’t do. What skills will I need to be a Parish Councillor? Parish Councils benefit from diversity and we welcome interest from people of different ages, backgrounds, experiences and abilities. Good communication skills, problem solving, analytical thinking and being a team player are all useful skills, and it doesn’t matter whether you acquired these from your professional life or from community, voluntary or social experience. The most important thing is that you care about Nether Stowey and are willing to take an active role. All Councillors are required to abide by the Code of Conduct (available here) and by law you must register financial, business and other interests in the Parish. * have been declared bankrupt within the last five years if you have not repaid your debts. * have been convicted of a criminal offence and sentenced to not less than three months imprisonment (whether suspended or not) without the option of a fine within the last five years. * you have been disqualified under any legislation relating to corrupt or illegal practices.